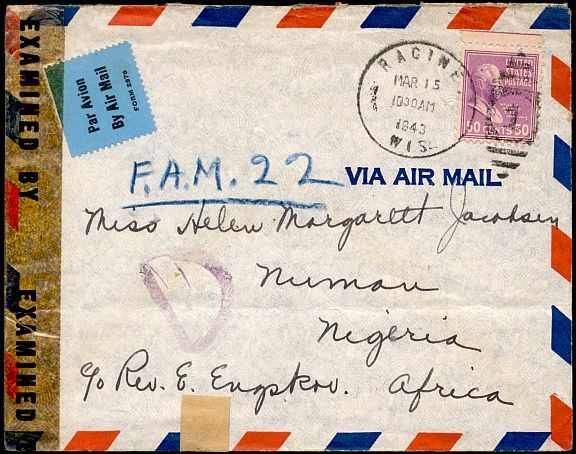 Airmail letters to Gambia, Sierra Leone, the Gold Coast, Nigeria, British Togoland or Liberia were fifty cents per half-ounce from November 2, 1941 until November 1, 1946. This cover was sent to Nigeria in 1943. 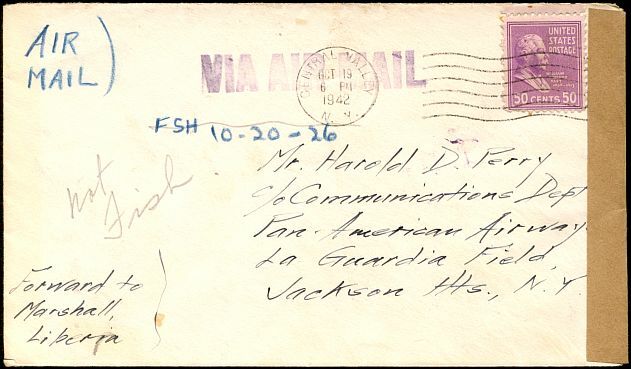 This October 19, 1942 cover was sent to Pan-American Airways in New York, with the instruction to forward it to Liberia. The postage was paid as if it had been sent directly by air. It was censored in Customs and a notation on the back says that it was received on November 3 from APO 605.